There's no story with this Gem. I just saw this on eBay and had to get it so I could hear it. The price was reasonable and there seemed to be no other buyers, so I won the bid. Once I did hear it, I was amazed that such a recording could have been made in 1960. This sort of adventurous duet is something one would expect to hear from creative music practitioners – the AACM or BAG or one of the other post-bop traditons. What sort of duet, you ask? Why, an entire record of bass and drums playing together by their lonesome. And not by just any bass player or drummer. Performing on this LP are two giants of the swing and modern eras in jazz – Papa Jo Jones and the Judge, Milt Hinton. What makes this record so remarkable – other than it wasn't the sort of thing anyone was recording in the '60s – is the fact that these two gents hearken back to the heyday of the big bands. Jones with Basie, Hinton with Cab Calloway. That they would make such an unusual recording is an eye-opener, for me anyway. I guess there is nothing new under the sun after all. Everest Records, by the way, was an interesting label. One of the first to produce high-end stereo recordings, they had a strong jazz division and put out quite a few mainstream jazz recordings, including some very good ones by Basie arranger Ernie Wilkins and a number by Jo Jones and Sweets Edison. The company's owner, Harry Belock, used 35mm film stock to make his recordings, believing the movie material captured a higher quality of sound. I don't know if that's true, but the process cost him quite a bit more than conventional tape. So here are Papa and the Judge, free-improvising in the studio (there are only two bonafide tunes). The sound quality is good, but there is some background noise which, as far as I can determine, was present in the actual recording. I've cleaned it up a bit, and I think you'll find it an interesting listen. From the original vinyl, of course! 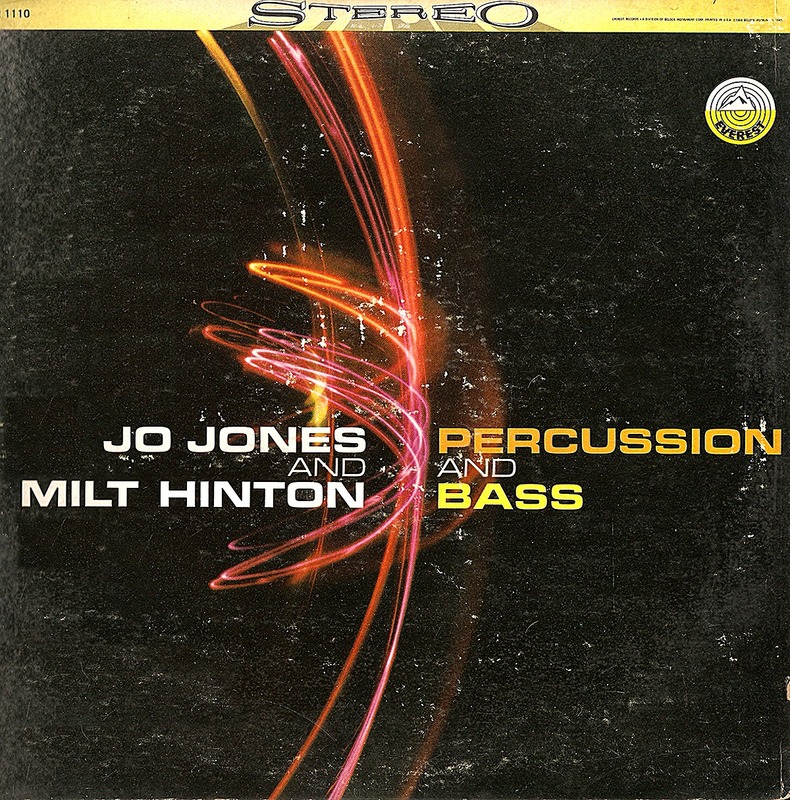 Jo Jones, d; Milt Hinton, b. Thanks for this share and your generosity. Thank you for this solid share, David. I lost this one in my HD crash last year and I'm happy to have it back in my rotation. Papa Jo and Milt Hinton? You just can't go wrong here. 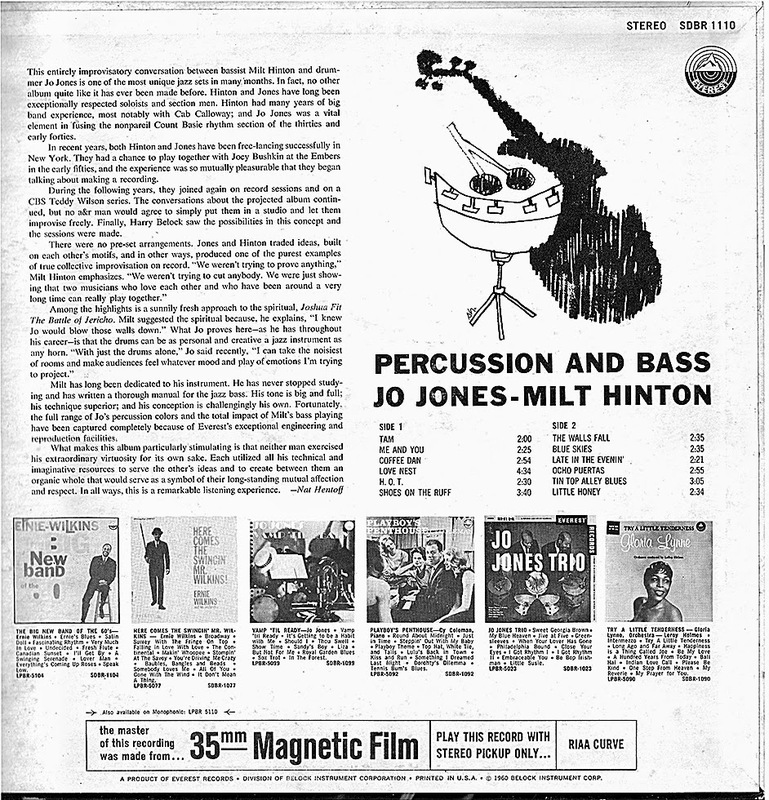 If I'm not mistaken, Papa Jo released at least one solo album where he reviewed the history of jazz drumming (or maybe just drumming in general) up to the point of recording. It was very interesting hearing him speak briefly about what he was doing and he made some uncanny impressions of other drummers' styles. Thank you again for keeping up the great work! Glad you've got it back, jc. I don't know of the Jo Jones record you refer too, but I'll check my sources and see if I can find out more. I know that Baby Dodds did a history of jazz drumming record on Folkways, but its range, as you might expect, was some what limited. Hey David. Check out if you are able to find the album. I found a little bit about it at the blog Jazz Wax as I was looking to find the title for you. Apparently he found a place to download the album for $5. Anyway, here is the link: http://www.jazzwax.com/2013/05/jo-jones-the-drums-1973.html I found mp3's of it many moons ago and lost it in the same HD crash last year. If I stumble across something I'll let you know. As the write-up says it is a lot of Papa Jo talking and providing demonstration of the technique/style of other drummers. I found it very informative and interesting. Of course, it is fairly unusual but enjoyable. Thank you again for all you do. Here's the complete info, jc: Jo Jones, The Drums, Jazz Odyssey 008 (French). 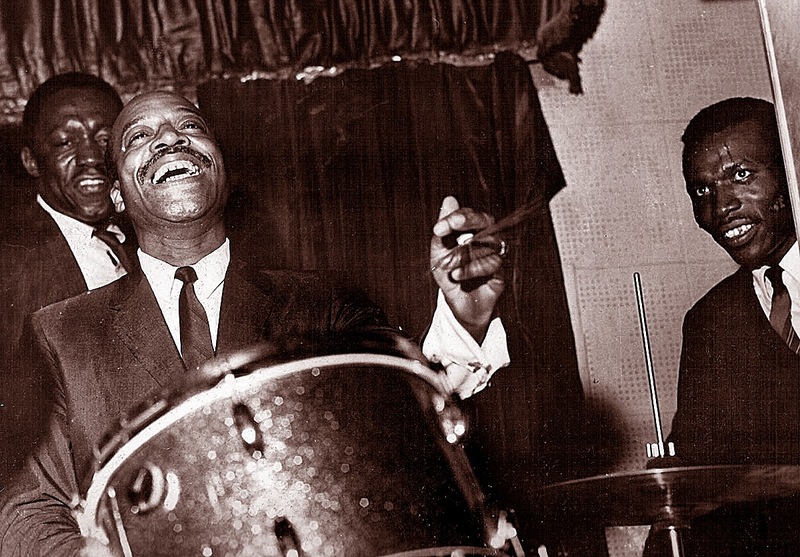 Jo does impressions of a dozen drummers, including Baby Dodds, Big Sid, Chick Webb and others. On one cut he's accompanied by Willie the Lion. I have a record that was recorded during the same date but issued under Willie's name. The Drums is a 2-record set that goes for $50 and more, according to collectorsfrenzy.com. Thanks for the mp3 link -- I'll definitely check it out! Thank you for the info David. Here is a link to free mp3's of the album. I'm not sure if it is all there or not, but at least you can check it out before spending some money on it. I think the links are still working. Thanks, jc. Really interesting stuff. The links do indeed work. I think I'll use Papa Jo's demonstrations for my radio show at some point.